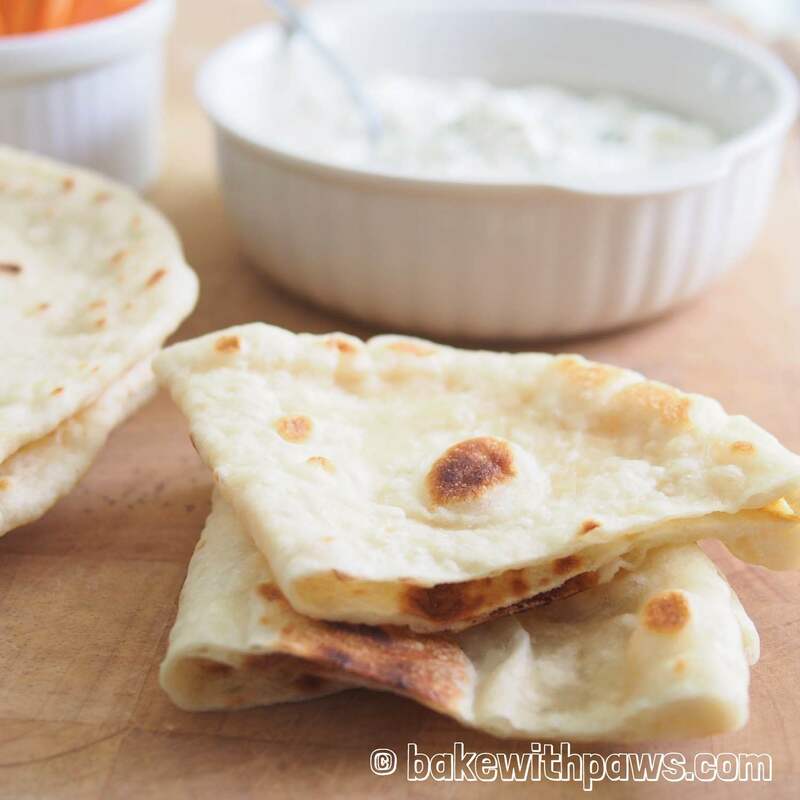 I made this homemade pita bread to serve together with my Greek Tzatziki sauce. It may look like our Malaysian Roti Canai but pita bread is certainly a lot healthier. The way of preparing is exactly the same as making bread. The recipe is adapted from Akis Petretziki. Please click here for Greek Tzatziki Sauce recipe. Combine yeast, sugar, milk, water and olive oil into the bowl of stand mixer. Add in bread flour and salt. Using the dough hook, knead until the dough comes together and is beginning to become elastic and tacky but not sticky. Tacky dough behaves sort of like a Post-it note, sticking to a surface but peeling off easily. It takes around 10 minutes. Let it rise in a warm place for 45 minutes or until double in size in a large greased bowl, covered with cling film or kitchen towel. I normally leave the dough in the stand mixer’s bowl and cover with kitchen towel. Brush a cast iron skillet with some olive oil and place over medium high heat. Punch down the dough to release the air. 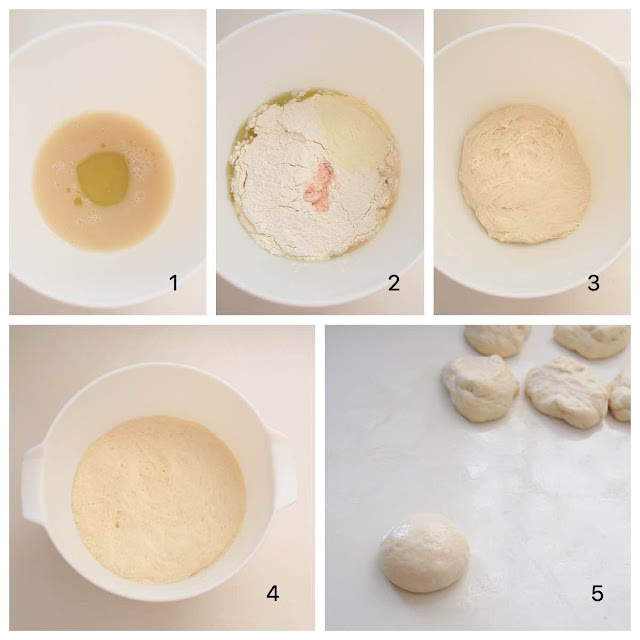 Transfer the dough to a clean a lightly oiled surface then divide into 8 portions. Shape each dough into a ball. 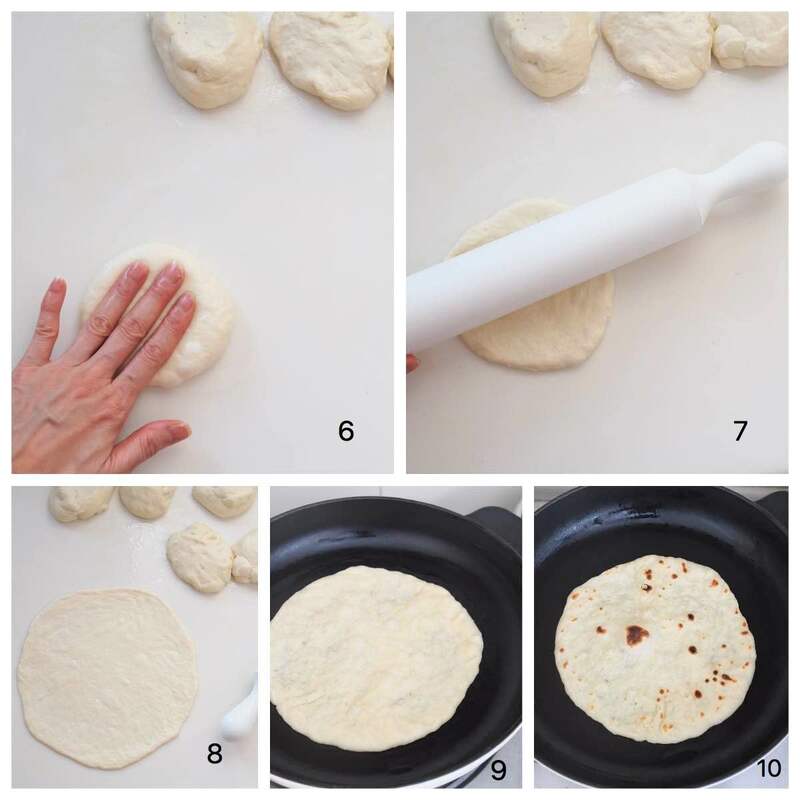 Roll out each piece of dough to a circle 16 cm in diameter using a rolling pin. 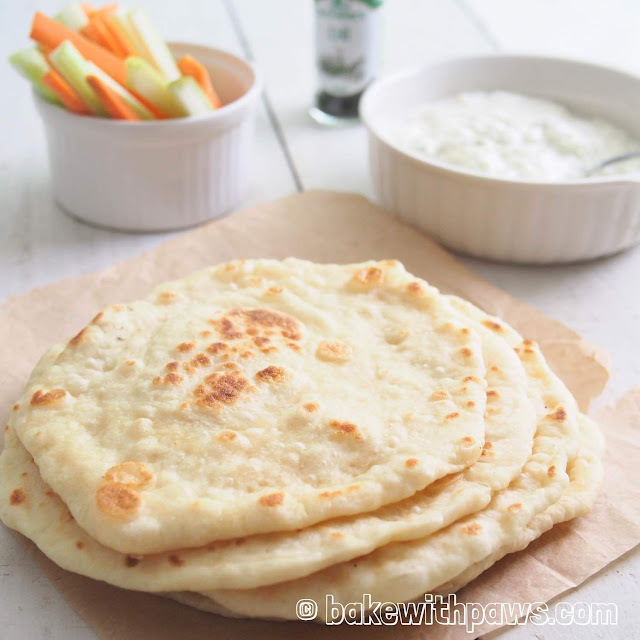 Place the pita bread into the heated skillet and cook for 1-2 minutes on each side or until they puff up slightly. Transfer them to the plate and serve with Tzatziki sauce.